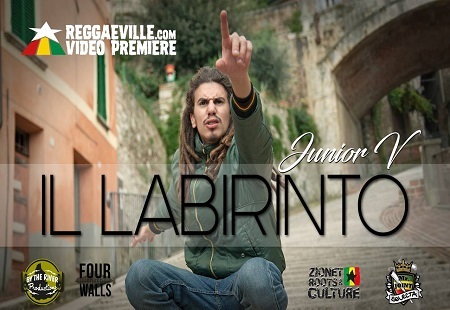 "Il Labirinto" is the 2nd single to be released from "Running on Jah Way", from italian young reggae singer Junior V's debut album. Exclusively premiered on the important ReggaeVille, the song uses "Il Labirinto" as a metaphore of life, and music as key to escape from the struggle. The album has mostly english language on it, but this song (along with "Pulsazione Mistica" feat Mariano "Hobo" Caiano) sees Junior V singing in italian, on a ska-oriented instrumental. "Pulsazione mistica" feat Mariano " hobo " Caiano) vede Junior V cantare in italiano, su uno ska-Oriented strumentale.